Detroit professionals who are happy with the face they present to others have a greater level of confidence. Confident people in turn are more likely to be successful in their business and personal relationships. Simply put; if you feel better, you’ll probably do better! At Szalai & Szalai DDS, our Allen Park cosmetic dentistry clients experience a significant boost of self-confidence whether they undergo complete smile transformations or a less extensive treatment. Whether it is attractive or not, your smile is always with you. Every person you meet notices your smile immediately. Even if you never smile because you are embarrassed about the condition of your teeth, your teeth still show every time you talk. How do you feel about the smile you present to the world? Are you comfortable with the color of your teeth? Would you like to straighten your teeth? Do have teeth with chips and cracks? At Szalai & Szalai DDS, we are dedicated to patient satisfaction. Greg & Joanne Szalai has years of experience developing customized treatment plans for creating brilliant symmetrical smiles. We treat patients of all ages in the Dearborn, Allen Park and Detroit areas. In addition to providing premium aesthetic dentistry, we provide comprehensive general dentistry as well. If you are not familiar with the latest tooth bleaching techniques, porcelain veneers, or adult braces, call 313-928-2323 to schedule a cosmetic dental consultation with Greg & Joanne Szalai. We are located at 5329 Allen Rd in Allen Park. 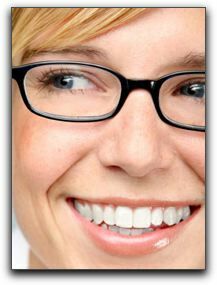 You can find more information about our cosmetic dental services at http://www.AllenParkDentists.com/. Are you ready to discover what smile satisfaction can do for your self-confidence?